A 73-year-old Ross-shire man who admitted being abusive to his ex-wife has been given an absolute discharge. Last month, Sheriff David Sutherland deferred sentence and conviction on George Morris – who has never been in trouble with the law before – after he spent three nights in police cells following his arrest in the early hours of New Year’s Day. 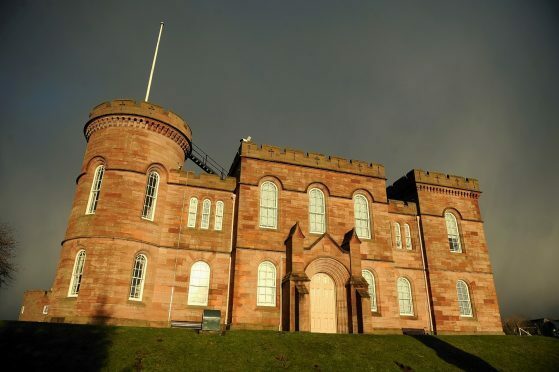 He called for a background report on Morris, of Hillpark Brae, Munlochy, and released him on bail until yesterday at Inverness Sheriff Court. But after reading the report – and a letter from Morris’s 66-year-old disabled ex-wife Bridget – Sheriff Sutherland decided the pensioner’s previous good character and the circumstances of the offence merited the rare decision of an absolute discharge. It means that Morris will not have a criminal conviction against his name. The divorcee had pleaded guilty to placing his ex-wife wife in a state of fear and alarm by behaving in a threatening manner in her home at Wellside Close, Munlochy. Mrs Morris had gone to bed but got up to ask her former spouse to keep the noise down. Fiscal depute Martina Eastwood said Morris shouted insults at her, pushed her and threatened to stab her. The court was told that Morris had been drinking while on social media to his brother in Canada whom he has not seen since the age of 15. His brother had recently lost his wife and it was an emotional experience for Morris, defence solicitor Marc Dickson said. Mr Dickson added that his client was not used to drinking and that his daughter had never seen her father taking alcohol. Sheriff Sutherland was told that Morris continued to help doing daily tasks for his ex-wife despite their divorce in 2006 and she bore no ill will towards him.